It can feel like a constant whisper in your head telling you that you need to lose weight to be happy, that the way you look is a measure of your value as a person. The reality is that true happiness and inner growth comes from loving who you really are and loving yourself – something that is usually only possible with treatment and help. Eating disorders can affect anyone, any age or gender, at any time. For some, it can feel like there is no escape and recovery is beyond reach. 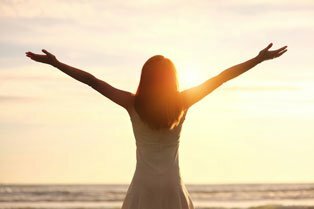 However, with support, treatment and self-help coping mechanisms, it is possible for anyone to overcome an eating disorder and move forward to live a healthy life filled with self-confidence. The first step to recovering from an eating disorder is to admit you have a problem. This isn’t always easy, especially if you still hold onto the belief – even if only on a subconscious level – that losing weight is essential to confidence, success and happiness. Even when you can accept that change needs to happen, it can be hard to take the right steps and break old habits. You can take comfort in the fact that behaviours learned that led to an eating disorder can also be unlearned if you have the motivation to change and are prepared to get help. Bear in mind however that overcoming an eating disorder is more than simply changing eating behaviours; it’s also about rediscovering yourself and who you are beyond eating habits, body image and weight. When did you begin having thoughts and ideas about food, weight, or exercise? When did the change in behaviour start and what did you intend to accomplish? What changes have there been to your physical health? How you feel emotionally – are you ready to change your behaviour? How do you want other people to help you – would you like professionals to be involved? Effective treatment for eating disorders should investigate the root causes of the problem and allow you to find ways to address your symptoms and destructive behaviour. By establishing the emotional triggers that led to your unhealthy eating habits you will find ways of coping with anxiety, fear, sadness, stress, and other undesirable emotions. There are a number of techniques and methodologies used in the treatment of eating disorders. It is however important to find the treatment plan, or combination of treatment options that are right for you as an individual. Addiction Friend can help by referring you, or someone you care about to international inpatient treatment programmes for all eating disorders, including those that co-occur with other addictions. We also offer counselling and aftercare services in selected locations. Therapy is an essential part of treatment for bulimia and anorexia. A good therapist can work with you to address any feelings of isolation and shame caused by your eating disorder and uses a range of methods to help you reach your goals during the recovery process. Cognitive behavioural therapy (CBT) is a common approach used in therapy that targets the unhealthy behaviours and the negative feelings that fuel them. The main aim of such therapy is for you to become self-aware of your emotions and your relationship with food. Having the ability to recognise your emotional triggers allows you to avoid them in the future and find ways to combat them in a positive manor. CBT therapy will also involve educational counselling focused on nutrition, weight management and relaxation. Family and friends can usually offer plenty of support, but you may also want to consider joining a support group that specialises in eating disorders. Talking freely about your condition and getting advice from others who can appreciate what you are going through can be a real help on the journey to recovery. Support groups offer a safe environment that can really help you on an emotional and spiritual level. There are some support groups, forums and chat room that provide online help for eating disorders like anorexia and bulimia. They can be good resources if you’re not quite ready to ask for help or enter into a face-to-face meeting with someone to discuss what you are experiencing. Some groups are led by professional therapists and others by volunteers or people who have themselves suffered from eating disorders. 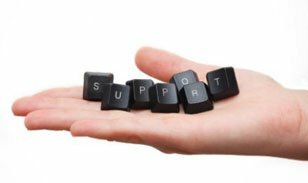 Online support is particularly suited to people who have limited options for support groups where they live. Adopting healthy eating habits doesn’t mean you have completed the recovery process. It is essential to maintain the progress that’s been made and take steps to prevent a relapse. A good way of doing this is to surround yourself with people who offer support and want to see you maintain your recovery and be healthy and happy. Avoid people who might be a negative influence or who make you feel bad about yourself. Remember to stick with your treatment plan and don’t neglect anything you learned in therapy, even if you think you are completely recovered. A good treatment plan will have already prepared you for this scenario and provided you with recommendations on how to cope in such circumstances. Finally, fill your life with activities that have a positive effect on your overall well-being and get involved with anyone that brings fulfillment and joy to your life. Is there something you have always wanted to try? Develop new skills, choose a fun hobby or find something that is rewarding to your life – anything that will lessen the desire to focus on food and weight is a good thing!